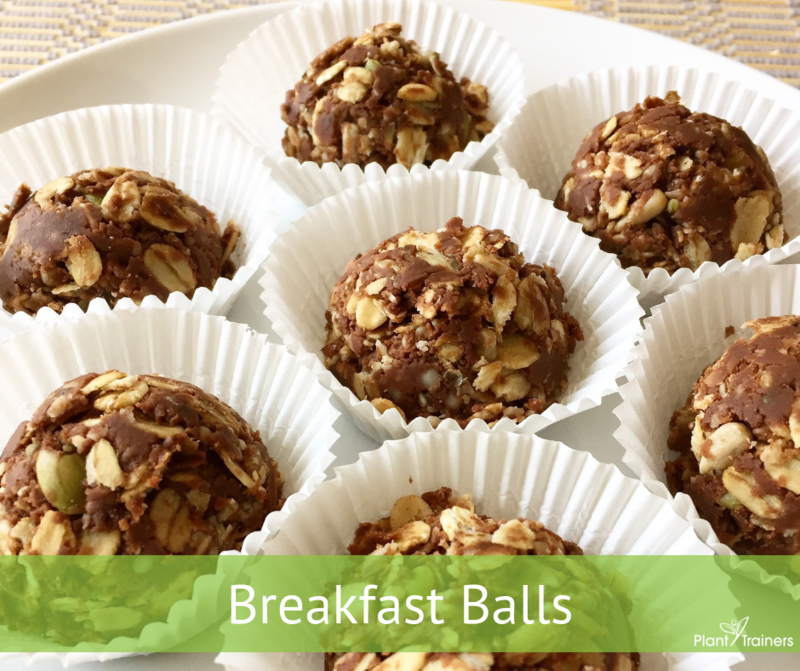 These breakfast balls are a great staple to have in the house. We eat them in the mornings and for some extra energy before a workout or for a sweet afternoon snack. I even feel good about the kids eating one with their breakfast!! To change it up you can try replacing some of the seeds for equal parts of shredded coconut. MMMMMMmmmm. Spread the oats onto a baking sheet. Bake at 350ª for about 10 minutes. Watch the oats to make sure they don’t burn and mix the oats half way through. In a bowl stir together the seed or nut butter, maple syrup and cacao powder. Then add the rest of the ingredients together. Scoop out approximately one tablespoon of the mixture and roll it into balls or drop them onto a cookie sheet or into little paper holders. Let them sit in the refrigerator and then transfer into a tupperware.